After a good sleep in we had a huge English Breakfast and prepared to explore Ely. We parked the car in a free all day council car park and walked into town. 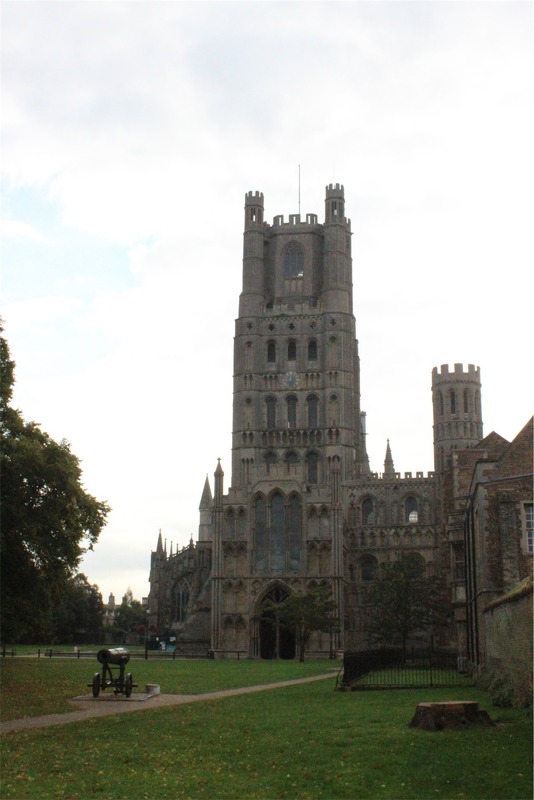 Ely is quite pretty with lots of parks and very old buildings. 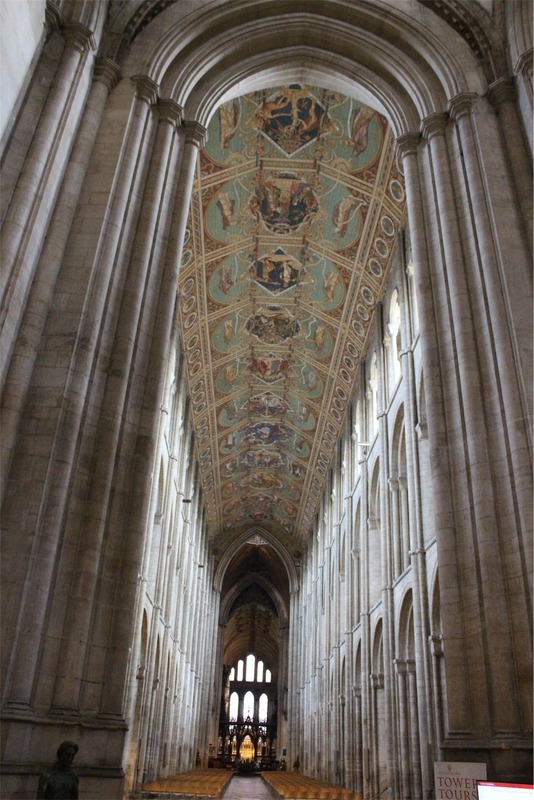 The main reason we had decided to go to Ely was a cathedral that we had read about. 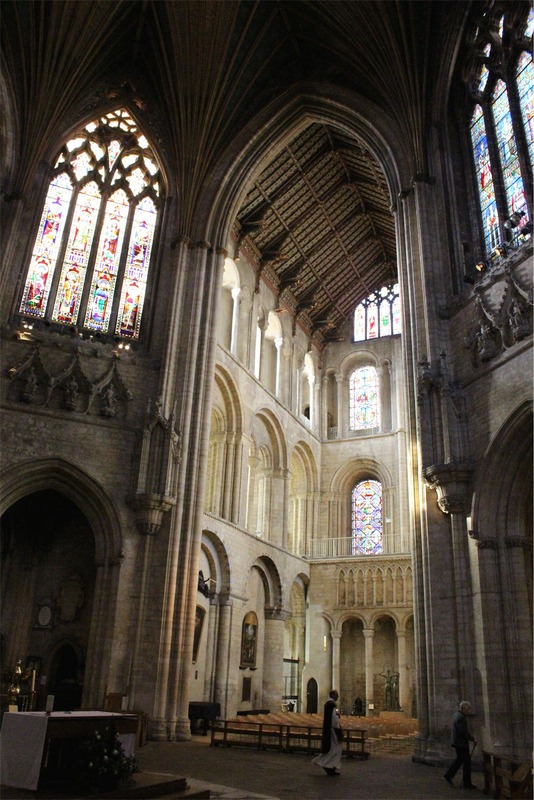 The cathedral started as an abbey that was built in 672 AD. Although destroyed, rebuilt and restored many times over the years, the current cathedral is unbelievable. The photos below give you a clue as to how huge the cathedral is. It sits on a large open area (“the fens”) and can be seen easily from all around. The highest tower is 66 metres high and the cathedral itself is about 164 metres in length. Even though the outside was amazing, it couldn’t begin to prepare us for what was inside. 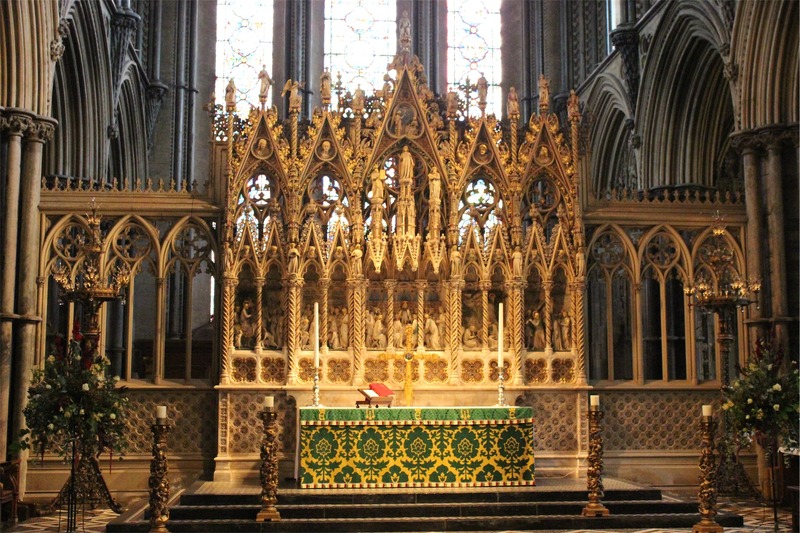 The architectural features of the Cathedral have been added to and restored over the centuries. 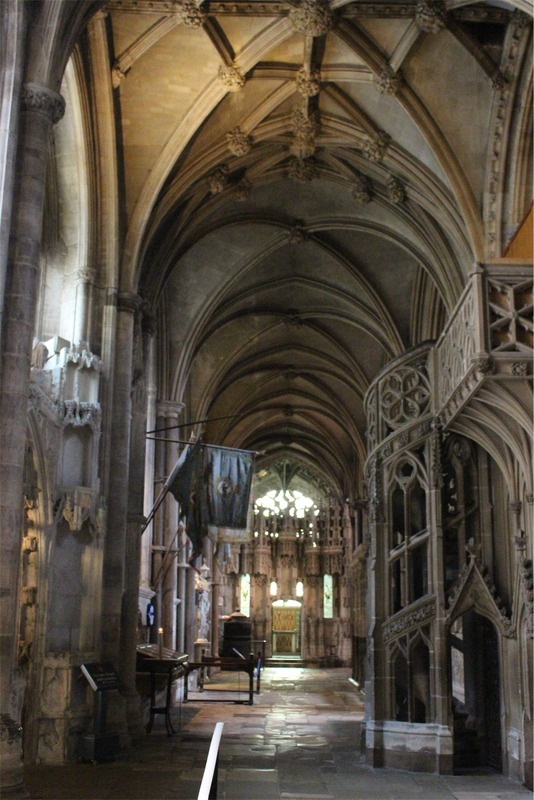 This meant that everywhere we looked we saw outstanding examples of different eras of architecture and design – the gothic arches, the intricate cloisters and the stain glass all were fantastic. 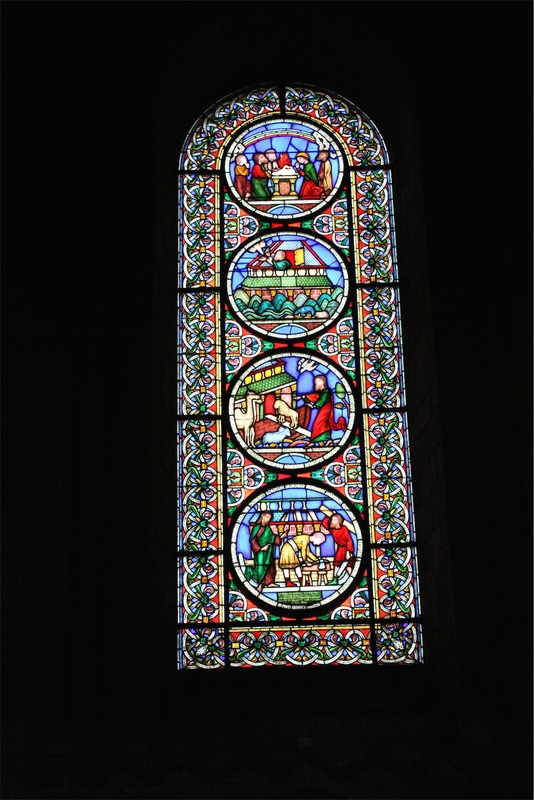 Speaking of the stain glass, it was so impressive that we later found out a museum had been set up here to display these impressive windows. The majority of the exquisite works of art were done during a reglazing project which started in 1854. As we found with many cathedrals in Europe and the UK, there was a tradition of burying key members of the church within the grounds of the cathedral. Ely Cathedral is no exception with numerous gravestones littered around the church. 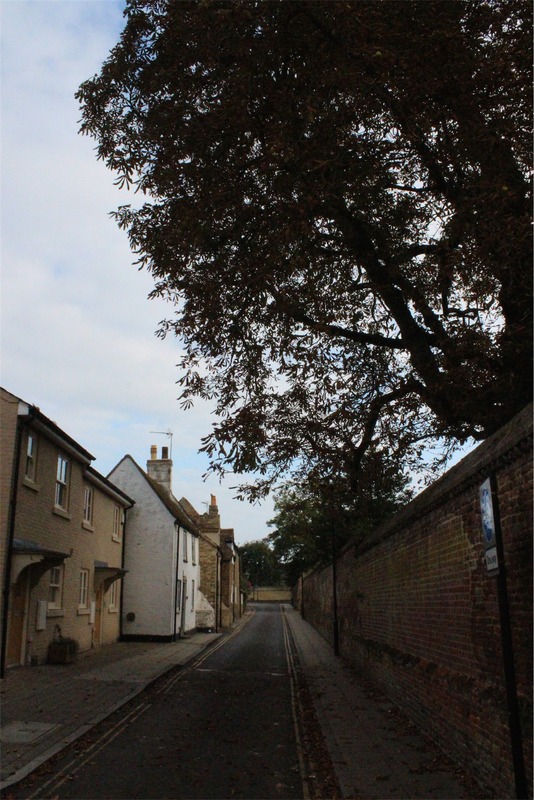 Oliver Cromwell lived in Ely from 1636 to 1646 after inheriting a sixteenth-century property. 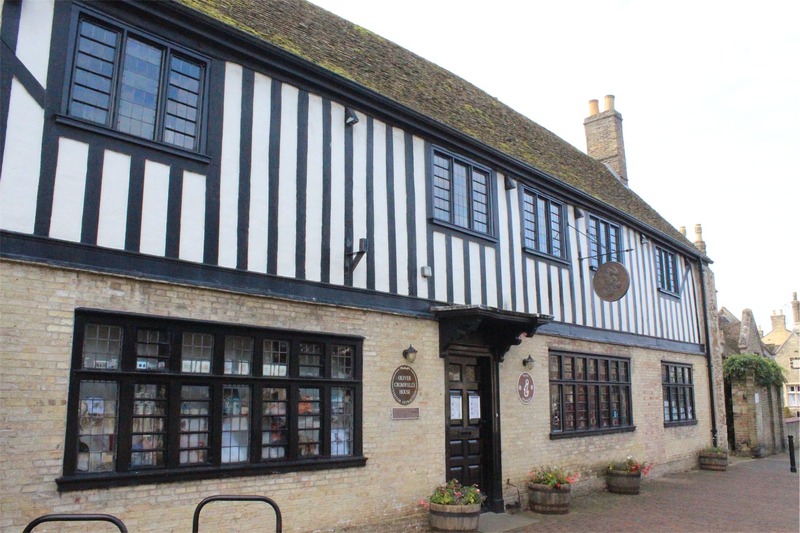 He was an important historical figure and the property remains today, converted to a museum called Oliver Cromwell House. Our final destination for the day was Newcastle upon Tyne, a six hour drive from Ely. 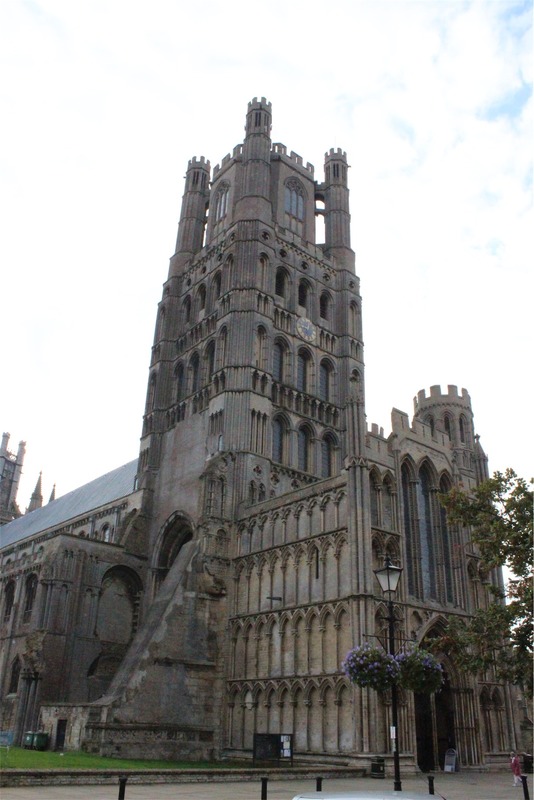 After enjoying exploring Ely we commenced our journey to Newcastle via Nottingham, Sheffield and Leeds.